Spinach and ricotta are a classic combination in Italian cuisine, probably known best as one of the most common fillings for ravioli. 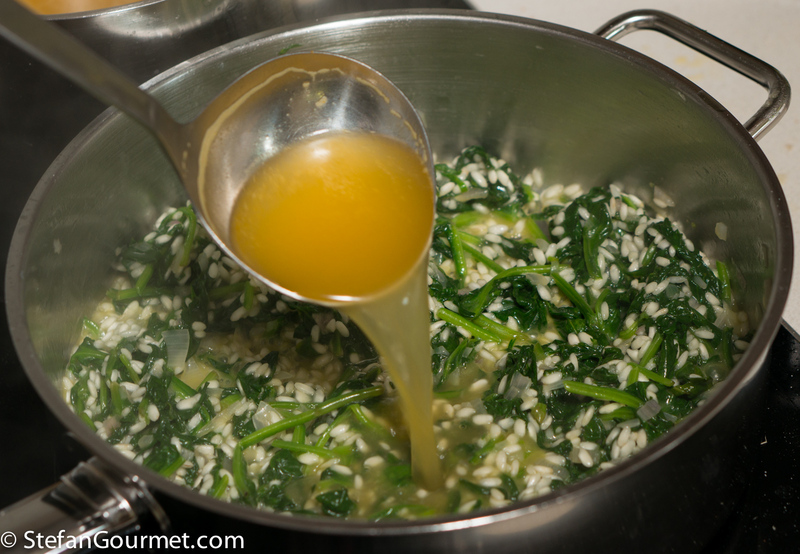 I’ve made spinach risotto before, but I had never thought about risotto with ricotta and spinach. 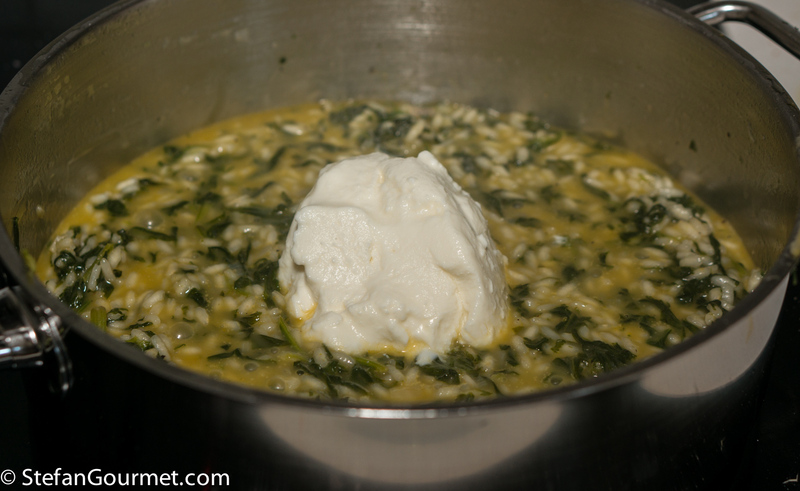 Until I read Simona’s recipe for spinach and ricotta risotto on her wonderful blog Grembiule da Cucina, full of Italian home cooking. 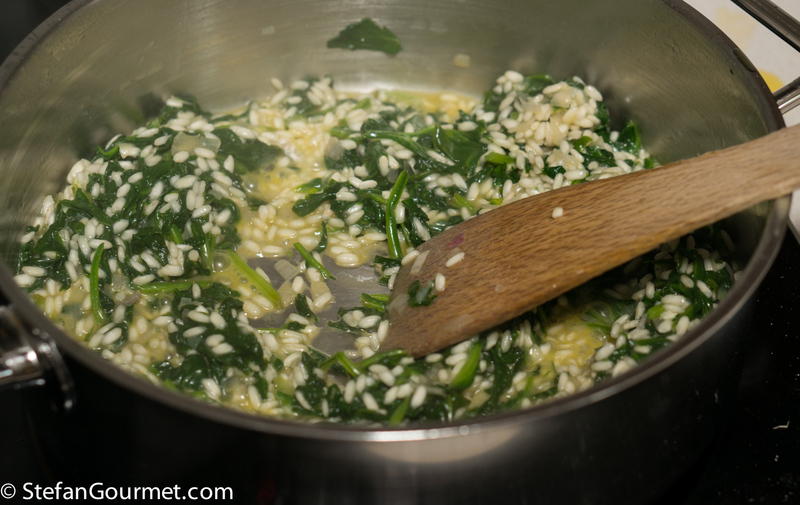 The resulting risotto is very creamy from the ricotta and the spinach is not as ‘in your face’ as the spinach only risotto. We liked this a lot. Grazie per l’ispirazione, Simona! Here is my version. Heat up 750 ml of vegetable stock and keep it hot. Melt two tablespoons of butter in a wide thick-bottomed pan. 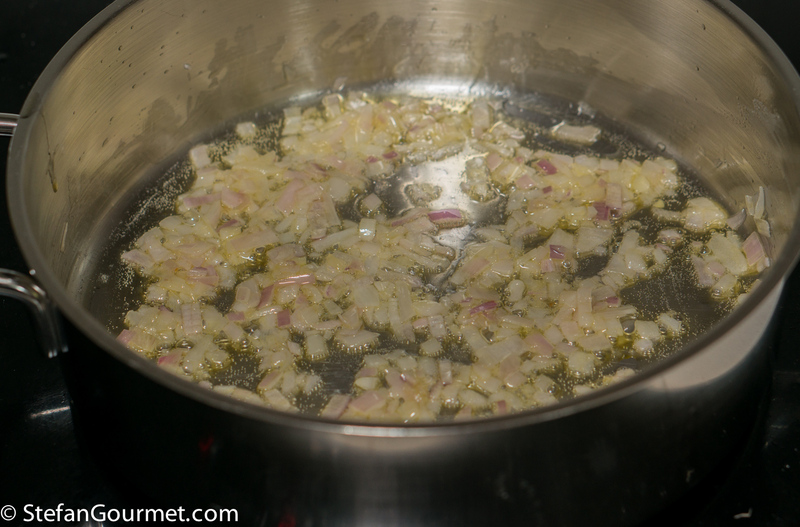 Add a minced shallot and stir over medium heat until the shallot is soft and fragrant. 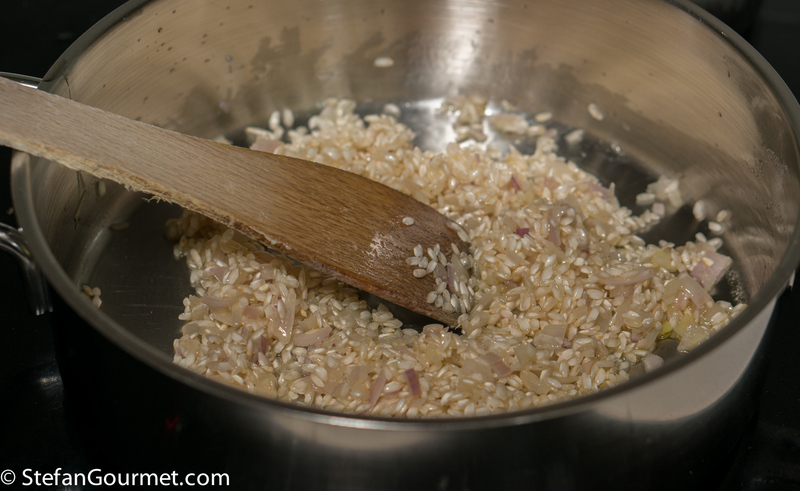 Add 130 grams of risotto rice and stir until the rice is very hot, without burning the onion. Add a generous ladle of hot vegetable stock. 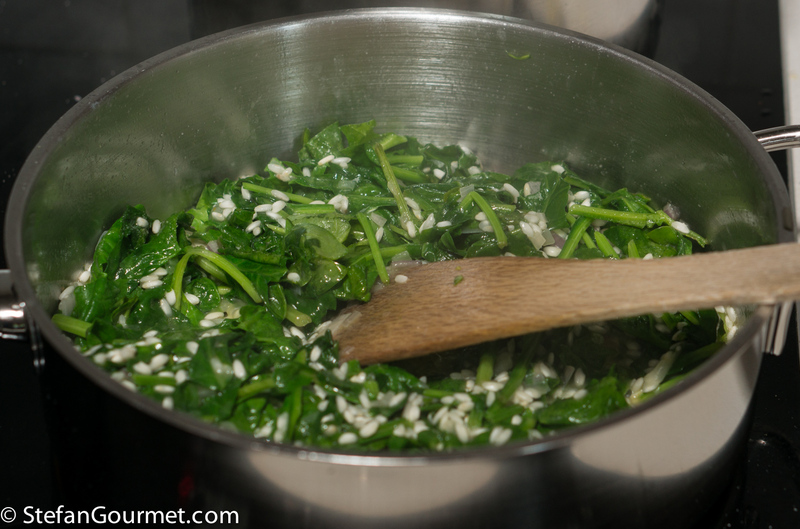 Immediately add 225 grams of spinach, and season with salt. 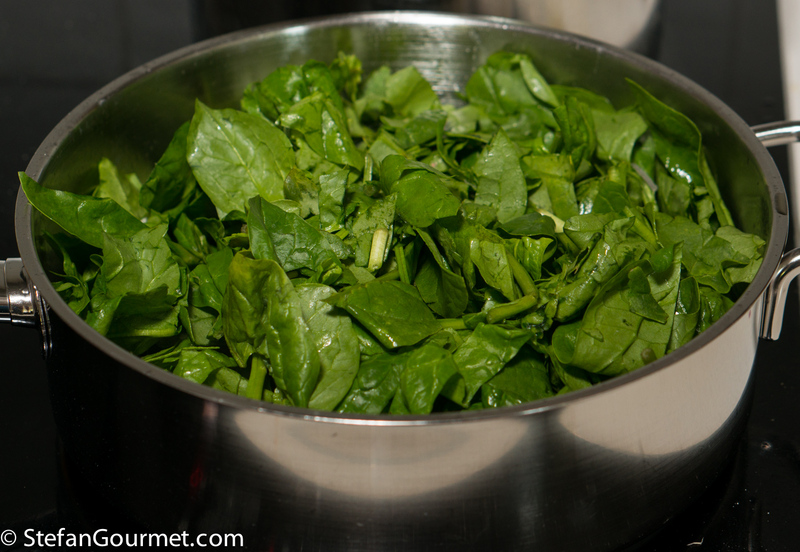 If the spinach is not “baby spinach” (young spinach) remove the stems first. 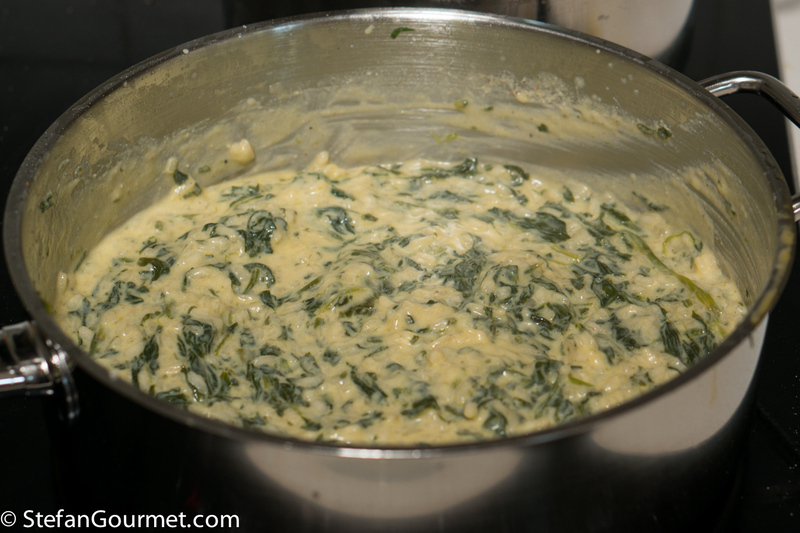 Stir over medium heat until the spinach as wilted and there is hardly any liquid left. Once it starts to become dry, add a ladle of vegetable stock. 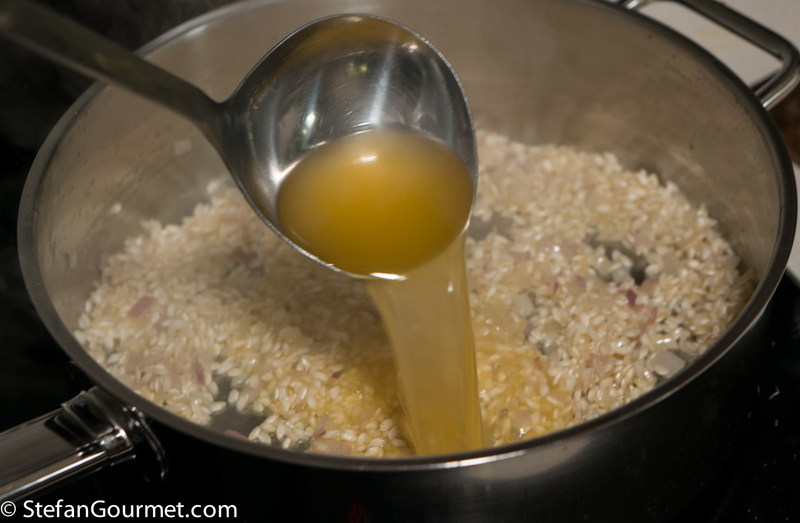 Stir over medium heat until the stock has been absorbed by the rice, then add another ladle of stock. Keep stirring and adding stock until the rice is al dente, about 15 minutes. The only way to find out whether the rice is cooked is to taste it; there should not be a hard kernel inside but the rice shouldn’t be soft either. When the rice is cooked, add 125 grams of ricotta and stir to incorporate. Turn off the heat. 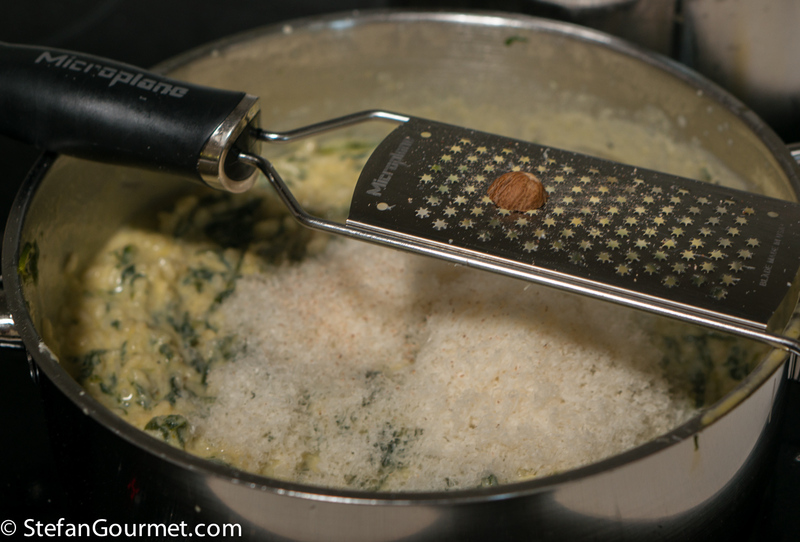 Add 30 grams of freshly grated parmigiano reggiano and a dash of freshly grated nutmeg. Stir to incorporate. Taste and adjust the seasoning with salt and freshly ground black pepper. Allow to rest for a couple of minutes. Serve on preheated plates, sprinkled with some more freshly grated parmigiano. You could probably consider ravioli to be my signature dish. I love serving those delicate parcels that burst with flavor. 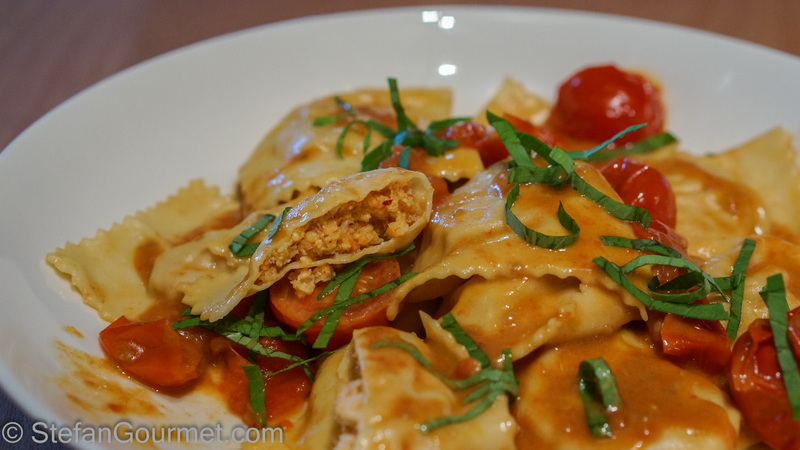 With a lot of experimenting I perfected my recipe for lobster ravioli. Interesting. It looks so creamy and I noticed you still add butter at the end. Must be very delicate. Will try next time I make ricotta. It is very creamy and delicate, mostly because I used a lot of ricotta. You could also use only half of what I used, but I liked it this way. I did not add butter at the end, only at the beginning to sauté the shallot. Grazie per la citazione. Felice che sia piaciuto! Love risotto: have never made this combination . . . my love of road cycling and the ‘Tour’ will limit me in July . . . but straight after, oh yes 🙂 ! Tried Simona’s obviously hugely interesting blog but my Italian is not quite up to par . . .
Mmmm I love risotto. Very nice Stefan! 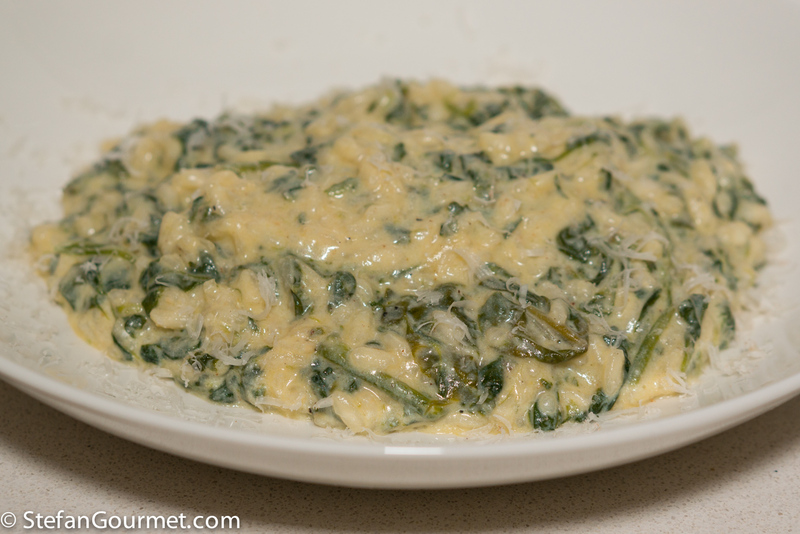 I love that Risotto but my favorite is risotto with aspargus. I’ve never had a risotto with ricotta, but now that you’ve shown it to me, I have to try it right away! Like others, I’ve never tried to make risotto with ricotta, Stefan, but it does sound like the perfect marriage. Adding spinach — or was it the other way round? — would make for a very tasty dish, one that I’m going to try. Thanks!